The Supreme Court will on Monday hear a case involving Sahara chief Subrata Roy and the Securities and Exchange Board of India (SEBI) over a dispute of returning money to its investors. In its previous hearing, the apex court gave 15-days time to Roy to deposit Rs. 552 crore in connection with the case. A three-judge bench of the apex court, headed by Justice Dipak Misra, said that if Roy fails to pay the amount within 15 days, the court would direct the commencement of the auction process for Aamby Valley property. Earlier on June 19, Roy's parole was extended till July 5. Roy on May 18 did not appear before the SEBI court after filing an exemption application on medical grounds. However, the special SEBI court rejected Roy's plea. The SEBI court was to frame charges in the case against Roy and his three group firms' directors - Ravishankar Dubey, Ashok Roy Choudhary and Vandana Bhargava. On April 21, a SEBI court had cancelled the non-bailable arrest warrants against Roy and three of his group firms' directors after they appeared before it in a case filed by the SEBI against them. The SEBI court cancelled the NBWs against them after they furnished fresh bail bonds of Rs. 2 lakh each and gave undertakings to the court that they would attend its trial proceeding against them regularly. 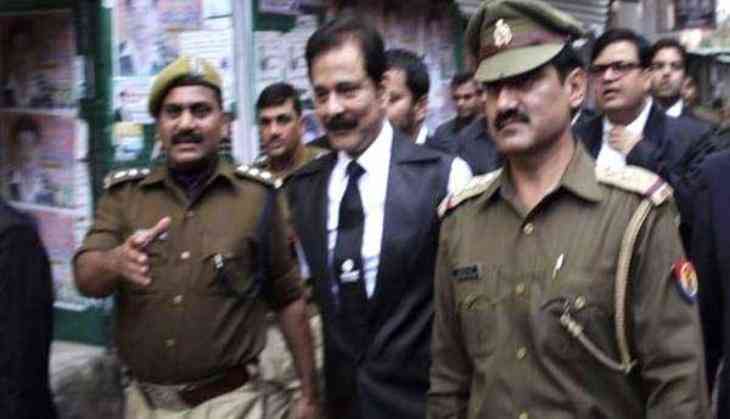 The SEBI had registered a case against Sahara India Real Estate Corporation, Sahara Housing Investment, their promoter Subrata Roy and the three directors in 2012, alleging that these companies had collected a huge sum of money from investors without listing the securities on the stock exchanges.